I started with a Combo #6 for $7.25CAD, which includes a cup of original (unsweetened) Soy Milk 豆漿, Original Stuffed Rice 鹹飯糰 and Crispy Onion Pancake 蔥蛋餅. Other than that light char aroma which many people enjoy, the soy milk was bland and diluted. 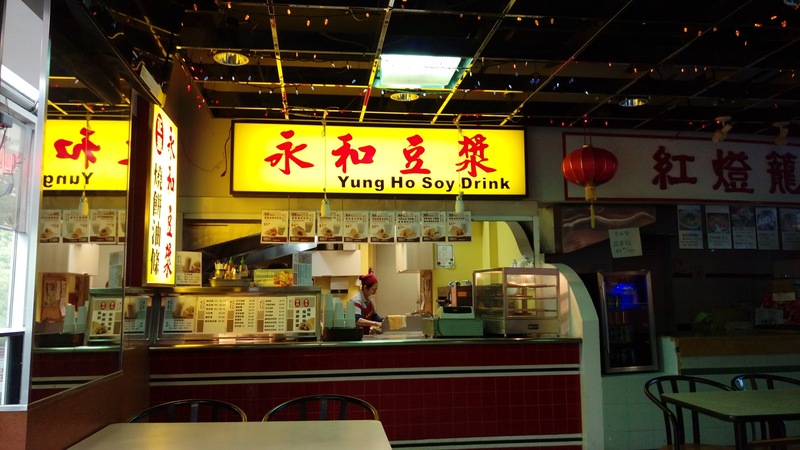 In fact, the drink was so weak that the fundamental soy fragrance no longer exists. The egg pancake was not exactly the type I was looking for. 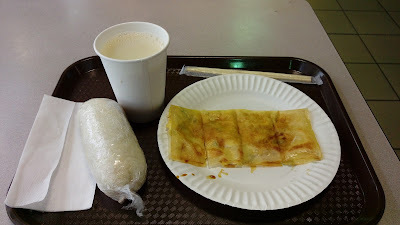 The pancake itself had no green onions, instead, it was just a thin spring-roll-type of wrap folded with pan-fried egg and chopped scallions in between. This was nowhere close to being crispy. The salty stuffed rice (as stated in Chinese on the menu) really presented itself well with the overuse of salty preserved vegetable and salty pickled daikon. 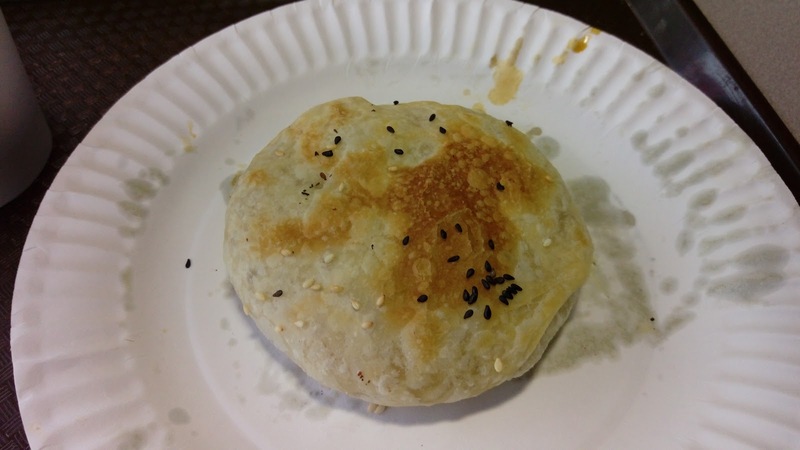 The Chinese doughnut 油條 was oily and lacked crunch. The so-called glutinous rice was unusually hard and lacked that adhesive hold. For $3.25CAD, I added a Pork Pastry 豬肉燒餅. While a bit steep in price, the pastry bun itself was decent considering it just came out of the oven. The crusty dough was delicate with a gentle hint of black sesame. 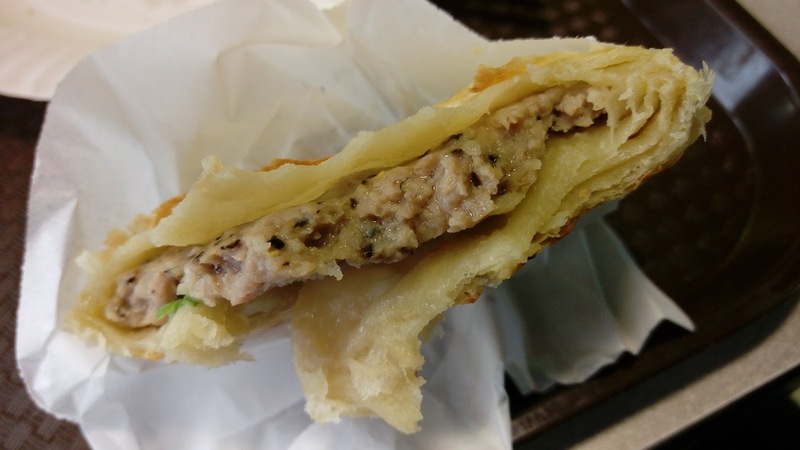 The stuffing was similar to a minced pork patty than the classic loose ground pork. The meat was moist, but the overwhelming use of black pepper did harm the taste. Our first visit failed and my second visit was a miss too. This place did not satisfy my homesick cravings with its overpriced menu and substandard food. 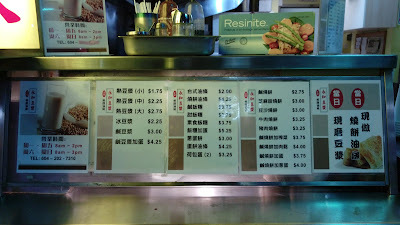 Honestly, as a native of Taiwan, it's a shame to have such a stall serving below par quality food and claiming its authenticity. Not a return.